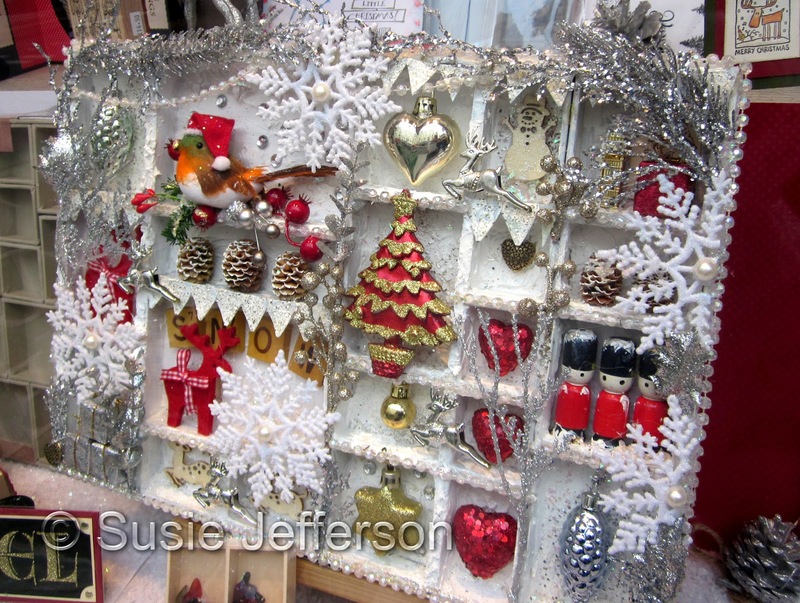 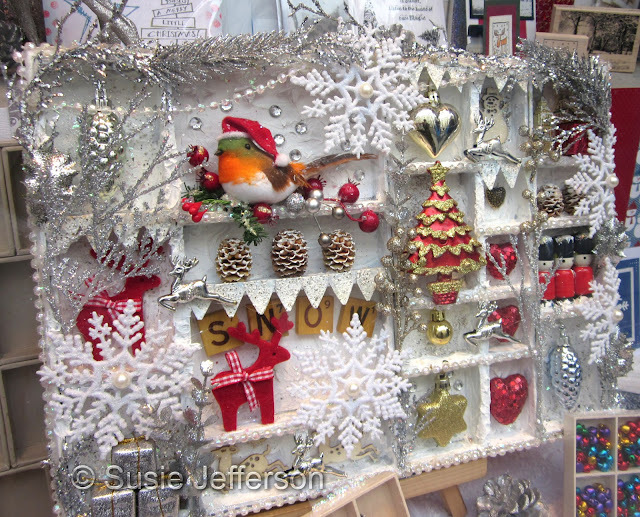 I'd totally forgotten I'd taken these shots of my Christmas Configurations tray - it was for the Blade Rubber window display, so I didn't even have time to photograph it at home before I took it in. 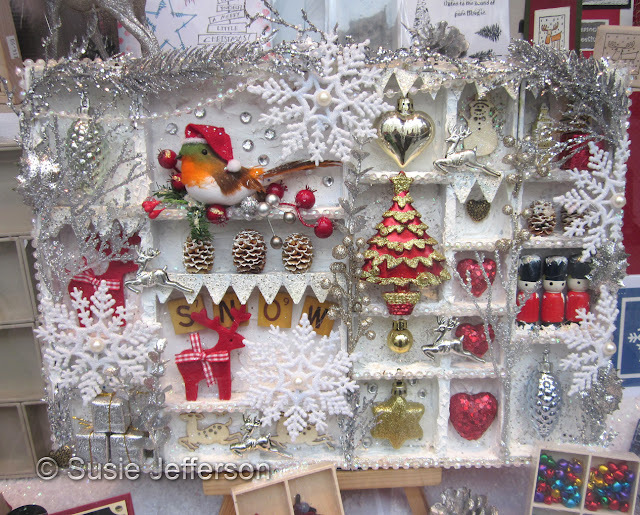 So here are the pix of the tray in the actual window. It was a LOT of fun to make, and half the fun (apart from the actual decorating) is keeping an eye open for little things to put in the tray sections. I used a lot of vintage elements - 1940s silver glass drops, the wood letters spelling 'Snow' - plus a lot of glittery tree decorations, little fir cones, felt reindeer and the cutest robin in a Santa hat.